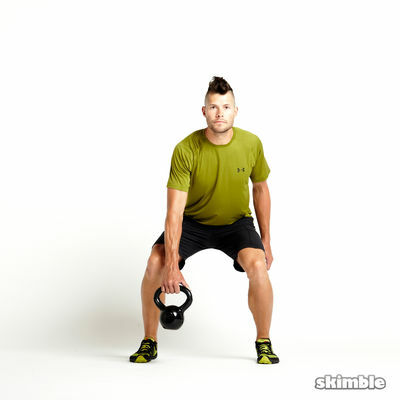 This workout starts with a light warm-up to get your muscles moving. 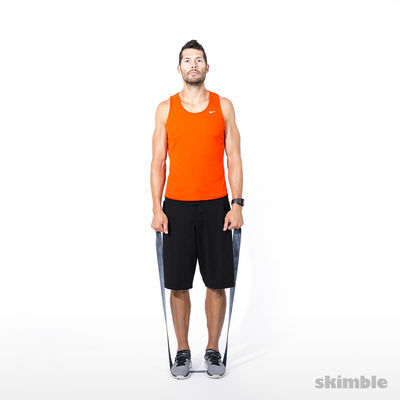 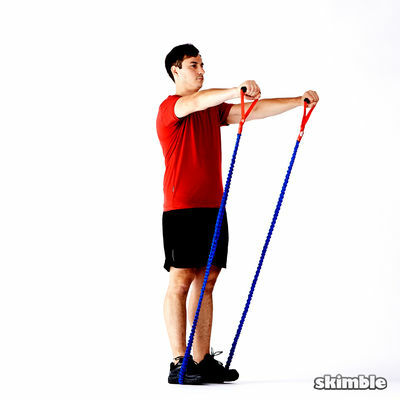 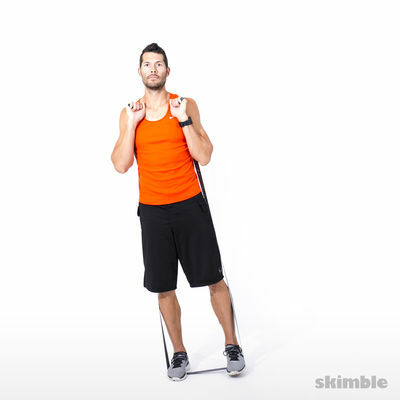 The first set of band exercises is with light resistance, and focuses on the legs. 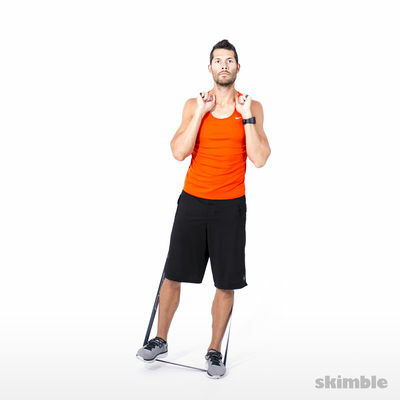 The second set of exercises, focusing on the arms, is with a moderate resistance band, but the duration of each exercise is less. 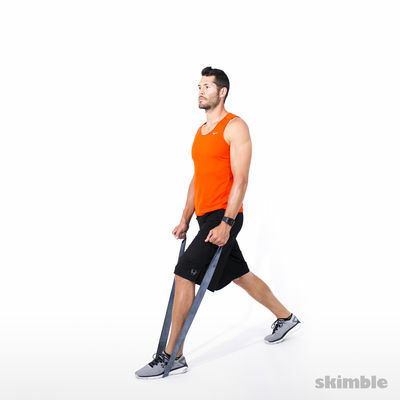 If you only have one resistance band, use it for everything. 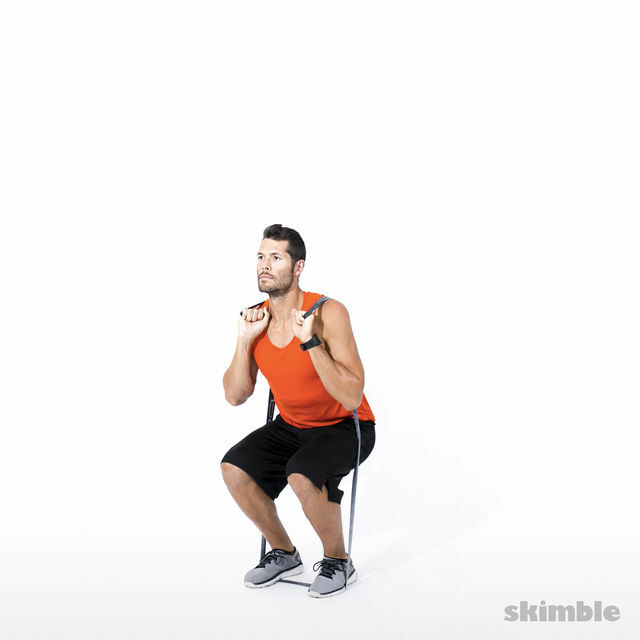 Let's get that resistance bandit!